(by Susan Heavey, Reuters) – Half of teenagers in the United States feel addicted to their mobile phones, with most checking the devices at least every hour and feeling pressured to respond immediately to messages, a survey released on Tuesday found. …Teenagers were not the only cause for concern, according to the poll, which had a margin of error of 4 percentage points. Parents also took big risks. 2. a) What percent of parents surveyed say their kids cannot give up their phones? b) What problems does this cause? 3. a) How many teens say they argue with their parents about screen use? b) Do you experience the same problems? Explain your answer. 4. a) What did Common Sense Media conclude from their separate review on Internet and technology use? b) Do you think this is true for you and the teens you know? Explain your answer. c) Ask a parent if they think Common Sense Media’s conclusion is accurate. 5. a) According to the group, how much time on average do 8-12 year olds spend using media? b) How much time on average do 13-18 year olds spend? c) How does this compare with your daily use? Why do you think this is so? 6. 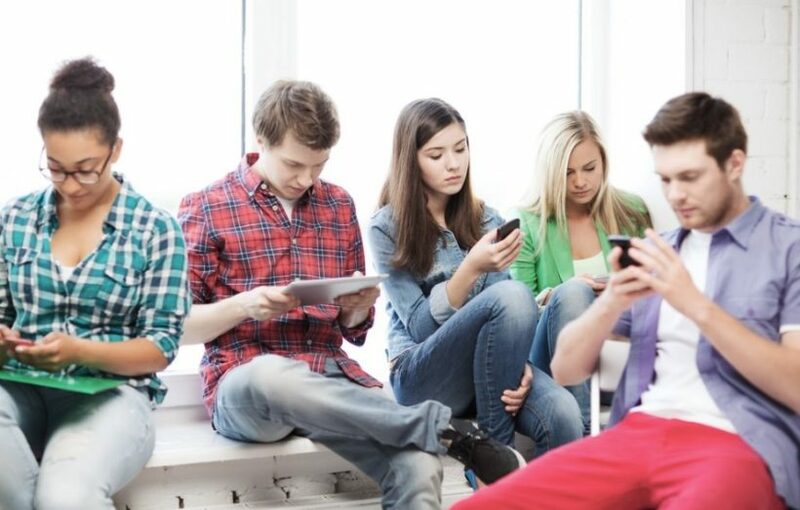 Generally, studies show that excessive use of media is detrimental to teens. Describe 2 or 3 possible solutions to this problem.